The latest generation of Smart USB Host On-The-Go ( OTG ) Adapter with Smart Chip built-in for Data Production and with EMI/RFI Interference Cancellation when data being transferred between Smart Phone/Tablet and USB Device in high speed operation. 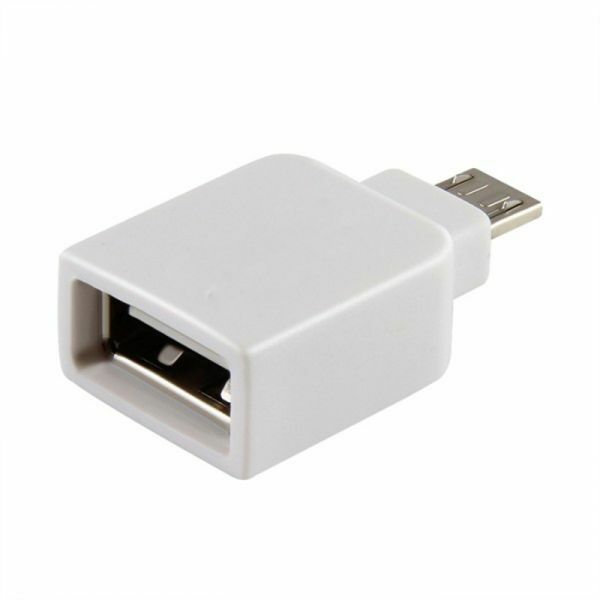 USB 2.0 Host OTG adapter cable allows you to connect a USB memory stick, a USB memory flash drive, a mouse or a keyboard to your Smart Phone/Tablet. PC-free back up of videos and photos from your Smart Mobile/Tablet to an external memory stick in a convenient way. Connect to a keyboard or a mouse for easier control of your Smart Mobile/Tablet.